It is said that second marriages are the triumph of hope over experience. Certainly exploration in Colombia (and Guyana) also fall into that category. Both were particularly egregious examples of collective mania that seized the Canadian mining community (no-one else fell for it) in the early part of the decade. I feel it is timely to do a post-mortem on this period and pick over some of the corpses to try and interpret what went wrong and whether it is worth pursuing mining in Colombia. As we all know Bolivia and Venezuela are plastered with red flags (literally and figuratively) that make miners think twice and head in an opposite direction. As I have written before Bolivia is not actually all that bad. However more dangerous pitfalls are hidden ones. And the best-hidden pitfalls are generally the ones that come with the imprimatur of the US financial media and most particularly the Wall Street Journal. When that august pillar of journalistic respectability says a country has turned the corner then it has gold showered down upon it. The problem with the enthusiasm for Colombia at the “end” of its long-running civil (and drugs) war was that the gold showered down on Colombia and virtually none came out. The fabled Eldorado (who was supposedly in pre-Columbian Colombia) was a one-way street for investors and it ran in the wrong direction. The declaration that it was “safe to go back into the water” and that the country was investor-friendly proved a powerful lure for hapless mining investors. Frankly Colombia has made the DRC look like mining heaven. Never has a supposedly friendly regime sabotaged directly (or through neglect) so many foreign owned mining projects in such a short time. The bleached bones of Canadian miners (figuratively speaking) litter the Colombian jungle. After the brutal civil and cartel war started to abate over the last decade sentiments towards Colombia as an investment destination soared. Foreign direct investment in Colombia more than tripled to $7.2 billion in 2009 from $2.1 billion in 2002, when former President Alvaro Uribe took office with pledges to repel guerrilla forces, including the Revolutionary Armed Force of Colombia, or FARC. However it was only really after the Crash of 2008, that foreign miners started to kick the tyres on what many perceived to be the Great Undiscovered Gold province. Essentially an Eldorado in waiting. My own participation in this sphere was early on when I was engaged in vetting of deals (i.e. due diligence) on some then unlisted Colombian mining assets. This was back in 2010. It was not a happy experience as I kept giving the thumbs-down to these proposals as they were all flawed in some way of another. I moved on and have eschewed the topic and place ever since. My initial impression was not mistaken as the Colombian government’s failure to implement a clear project development road map has seriously hampered several significant projects, such as AngloGold Ashanti’s (NYSE: AU; JSE: ANG) Colosa project and Eco Oro Minerals’ (TSX: EOM) Angostura project. Other projects have seen drilling programs blocked because of restricted water access as in the case of Colombia Crest Gold (TSXV: CLB). Greystar became a by-word for disappointment and an adventure by Eike Batista into Colombian gold mining was one of the straws that broke his camel’s back. After so many disappointments, is it any wonder investors have developed Colombiaphobia. Gran Colombia Gold (TSX:GCM, OTCPK:TPRFF) is one of those rare beasts, a Latin American mining company mainly run by Latins. That undoubtedly has been helpful in navigating the by-ways of Colombian government but did not stop it from falling into a debt pit of its own creation. Back in January the company announced that it has missed the interest payment due December 31, 2014, on its Senior Unsecured Silver-Linked Notes. As a result, the company defaulted on the debt as it had 10 days to cure the default and failed to make the payment. The company shortly thereafter also announced that it has not made the interest payment on its Gold-Linked Notes. The company engaged GMP Securities to assist in the evaluation of its various options. Meanwhile on the production front the company anticipated production to increase to 150,000 ounces of gold production a year at sub-$950 all-in costs. In May it delivered on that promise with a reported $938 per oz AISC. The problem back in January was the company’s hefty debt load of $167.9 million. Despite making some payments and “only” losing $3.1mn in the first quarter (despite the lowered AISC) the stock price wallows at a mere fraction of where it has been in the last 12-months. The dully-named Greystar was like the canary in the coalmine for Colombian gold wannabes with its problems giving the first warning signal that all was not well in the Land of Eldorado. The first sign of trouble came in March 2011, when the Colombian government rejected Greystar Resources’ proposed $1 billion gold and silver mine, which lacked “viability” because of environmental concerns. This sent this one-time market star (pardon the pun) into a share price descent more like that of an Acapulco cliff-diver. The company was totally blindsided and rushed to meet with regulators to discuss “alternative options” while withdrawing its permit applications for the Angostura deposit in northeastern Colombia. The Angostura project is in a watershed area of Colombia and had “technical and environmental difficulties” (to put it mildly). Opponents of the Angostura project said it endangered water supplies to the nearby city of Bucaramanga. Greystar had the option of ending its development plans or redesigning the project which, it claimed at the time, might take one to two years. 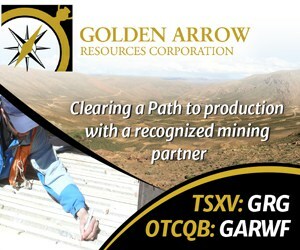 The decision was a grievous blow to Greystar’s efforts to start its first gold production and stem on-going losses. Greystar needed environmental approval by the end of June 2011 to start output in 2013. The company had said Angostura would produce about two million ounces of silver and 500,000 ounces of gold annually. The company, at that time, had a market capitalization of CAD$231.6 million. Here we are four years later and the company has changed its name to Eco Oro Minerals (TSX: EOM) to leave behind its unhappy history and in standard Toronto form keeps announcing more ounces at Angostura. This seems to work with the cheap seats though as the stock has soared in recent times. Ambitions have since been scaled back with a PEA being published with a reduction of the estimated average annual production to 269,000 oz AuEq, largely as a result of having to abandon the open-pit plan and shift to an underground mining format. The project still appears to be alive and kicking but at least four years behind original planning and much diminished in expectations. They say that as one window closes another one opens. This proved to be a bad pun and a bad proverb for Brazil’s once-upon-a-time business superman, Eike Batista, when he dared to enter Colombia in February 2011 with his purchase of Ventana Gold (“ventana” is the Spanish for window, get it?) for around $1.43bn. At the time Batista acquired an 80% interest in the company, through his resource conglomerate EBX Group, for $13.06 per share in cash. He had already owned 20%, accumulated through his 63X Master Fund. This also is a twisted tale as this agreed offer was at the same price Ventana initially rejected in November 2010, which prompted EBX to launch a hostile bid at a slightly lower price the next day. His goal was to get his hands on Ventana’s flagship La Bodega project in Colombia. If Batista had waited a few more months the Greystar debacle (and the gold price tumble from over $1,800) would have made Ventana a much, much cheaper buy. Indeed if he had even wanted to pursue a Colombian asset any more. For Ventana shareholders it was a lucky escape indeed. The rest is history with the business empire of Batista blowing up quite spectacularly in late 2013. AUX (the vehicle holding La Bodega) was listed at that time as collateral for US$1.5 billion that EBX (Eike’s main vehicle) owed Mubadala Development after the Abu Dhabi sovereign wealth fund converted a preferred equity investment into debt. As the whole matter has disappeared into the Latin American bankruptcy courts, La Bodega has dropped off the radar and its current ownership must be a matter of conjecture. Colombia really needs to get its act together. The proof of the pudding is in the eating and the Colombian mining scene has been like thin gruel in recent years. Great promise and great geology have been overwhelmed by a government that cannot get out of its own way. Bathing in the adulation of the US press make give Colombian politicians a warm inner glow but it doesn’t create jobs or boost GDP. After so many years of national trauma it was not seen as politic to criticize the government when it was making headway against rebels. Things have moved on though and miners need to call a spade a spade and tell the government that mouthing pro-mining statements while blocking all and sundry is a quick way to scare off foreign investors. It’s time for the Colombian government to either embrace mining or to reject it and at least make its stance clear.. I just finished sending friends at Pacific Rubiales congratulations, and of course; their management is in Colombia. While reading this, I was wondering what happened to that series of 3-4 junior exploration plays in Colombia that all rhymed with each other that I always raised an eyebrow to while being ‘publicised’ in Yorkville over expensive wine at ONE. While I loved the chocolate, coffee and roses* in Colombia, this country has had some of the best PR machinery on the planet for turning it around from a well known area for K&R specialists (kidnap and recovery) due to drug cartels — to getting people like me loving their boutique hotels, and savoring the art. The young people in Colombia are hard working and put the “D” in discipline. While I agree that the initial cavalcade that went into Colombia seeking to maximize the classic pump and dump formula, I DO believe that Colombia has some of the sharpest most competitive millennial mind’s on the planet, and future leaders. I would NOT count out Colombia, but count it in. (*) Colombia is famous for having the most exquisite long stem roses in the world. And it looks as if that is certainly the case. One Australian company battles on in Colombia. Condoto Platinum (ASX:CPD) notes on its website that Colombia is only one of two major sources of primary platinum production outside of Russia, South Africa and Zimbabwe. Incidentally, Chocó is where Condoto is pursuing its project. Whilst not sharing Christopher Ecclestone’s knowledge (or fear and loathing) of the mining side of Colombia’s resource sector, I would like to point out that the country has in fact been extremely rewarding for many O&G companies. Examples range from majors – Talisman, to Pacific Rubiales and many other Canadian-listed companies such as Parex and Canacol. Perhaps it’s time for the mining community to learn from the oil industry how to get the Colombian government to embrace their efforts through cooperation with local communities for job creation and development of environmentally responsible rules & regulations. I would not have come up with your ‘Colombia peril’ thesis on my own, but having now read your well researched and thought out piece, it does seem to have some merit. Do you have any research to show if this “Heart of Darkness” thesis also holds up for coal investments in Colombia?